Thankfully, we know now that Amazon is, indeed, not planning to open up 2,000 stores around the US. There are still two main questions when it comes to Amazon’s future plans: First, what exactly is the company planning with Amazon Go? Second, why did that number of 2,000 Amazon stores come up several times this year? First, and most important, let’s talk about how ‘Amazon Go’ would make sense. If you are a small business that has a traditional point-of-sale system, we predict you’re more likely to see Amazon Go as a POS product Amazon wants to sell you rather than as an 1,800-square-foot market down the street. 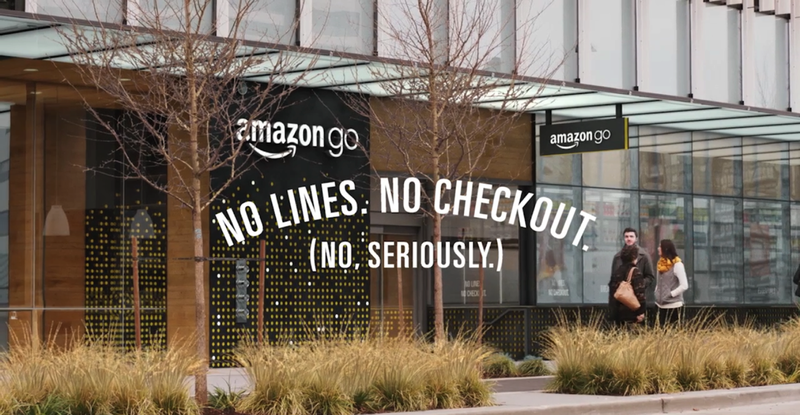 ​Thinking about ‘Amazon Go’ as the POS product in Amazon’s payment portfolio makes more sense than ‘Amazon Go’ as the starting point for Amazon stores does. But that is only one half of the story, if it all. As seen in the chart below, 15% of the market cited Amazon Payments as the most preferred payments method after credit card, only trailing PayPal, and coming in way ahead of Apple and Google’s competing products. Since its launch, the product has gotten thousands of sites on board, but with only a few big names — like the inflight Internet service Gogo — making the list. In April, Amazon Payments launched a new Global Partner Program which allows e-commerce platform providers to easily integrate its service. TechCrunch reported at the time that Amazon has 285 million account holders, with over 23 million of them having paid through their accounts on other sites. Amazon Payments is already a growing success story, giving Amazon an entry point into other merchants’ businesses. ‘Amazon Go’ is a continuation of this. ‘Amazon Go’ looks to be poised to become a strong platform/marketplace play. Paying through a smartphone app, that already, in a lot of cases, has a rich shopping history attached to customers, can bring in new ways of shopping. See that? “No-Line Lunch”, “No-Line Breakfast”, “No-Line Dinner”. Those are not slogans for grocery stores but for fast-food(ish) restaurant-type locations. Amazon of course will not operate thousands of those locations in the US; let alone hundreds of thousands around the world. The “you” that Amazon the online retailer sees right now is the you that buys a 30-pack of something stupid at four in the morning, the you that mindlessly puts expensive things that you never plan on buying in your cart, and the you that inexplicably buys a large quantity of cardboard boxes one day (it’s because you’re moving apartments, but Amazon doesn’t know this). Anybody can get rid of a cashier with a robot. That’s easy, and in fact, a lot of places have already done it with self-service checkout machines. But what only Amazon can do, and what it is seeking to do with Amazon Go stores, is design a hyper-efficient and data-driven information loop built around physical and online shopping. This will likely benefit Amazon’s business for all of the reasons that customer data does now: improving its marketing, recommendations and promotions, and keeping its supply chain in line. All of this comes down to knowing you. Last not least, now about those “2,000 stores” rumors. Reporters, getting scoops on single data points, sometimes miss the context of those data points. Reporters are neither employees working on those plans nor are they, in most cases, analysts looking constantly at the bigger picture of the company’s direction. In this case, it is most likely that Amazon is planning to get at least 2,000 partners in the US on board over the next couple of years.